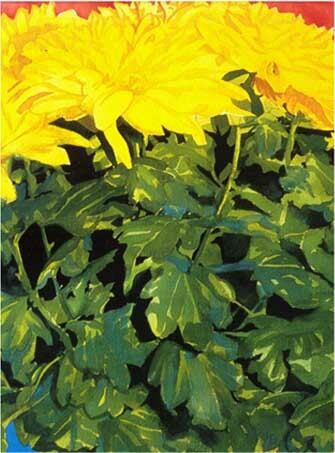 Chrysanthemums Are Nice Flowers To Paint – Artist, Ray Horner Jr. This painting was purchased by my Dentist Dr. Richard Crowley of Newark, NJ. By the way he is a great dentist. 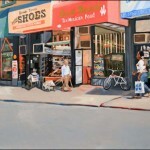 If you want to see the painting it faces his patients as he skillfully works on their teeth. After He purchased the painting the watercolor won first prize in the Union New Jersey Arts Festival so he got a double find.